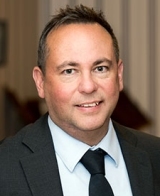 April 10, 2018 - Iggesund Paperboard has appointed Pierre Aggarwal as the new Mill Director of Iggesund Mill in Sweden, effective April 16. Iggesund Mill is an integrated mill that manufactures solid bleached board from chemical pulp. In 2017, the mill produced 327,000 tonnes of paperboard. Most recently, Aggarwal held the position of Mill Manager of Holmen's Braviken Sawmill, and prior to that he worked at Holmen's Hallsta paper mill. He has spent most of his career in the pulp and paper industry, primarily with Stora Enso. “We are very pleased that Pierre has accepted the challenge to lead Iggesund Mill,” said Daniel Peltonen, President and CEO of Iggesund Paperboard. Aggarwal, 53, holds a master's degree in Engineering from Linköping University. He replaces Olov Winblad von Walter, who is leaving Holmen to manage Husum Paper Mill. The Mill Director is part of the Iggesund Paperboard Executive Management Team and reports to the President and CEO of Iggesund Paperboard. Iggesund Paperboard is a member of the Holmen Group. Iggesund produces paperboard for consumer packaging and graphics printing at a mill in Sweden and another in England. To learn more, please visit: www.iggesund.com.